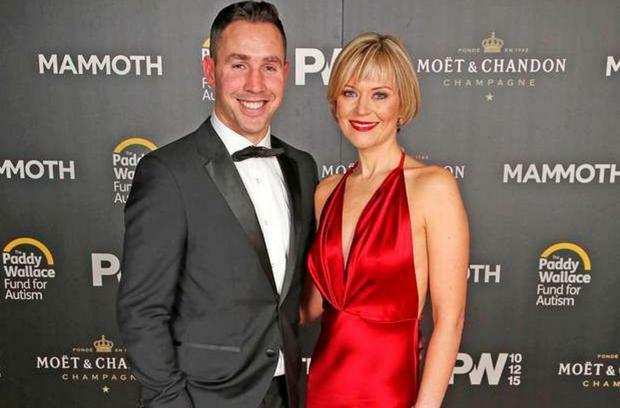 Friends and family have rallied round the wife of former Irish rugby star Paddy Wallace after it emerged the pair have split. 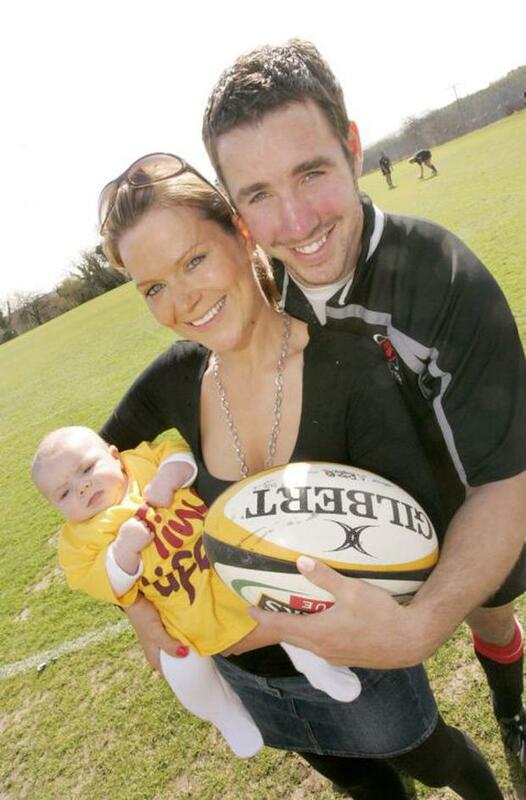 The former Ulster player, who retired from professional rugby last year, has been married to Christina (40) for almost 11 years and they have two children together. The mother-of-two, from Belfast, posted on her Facebook page on Wednesday evening that the pair had gone their separate ways. Their shock split comes months after they hosted the first official Christmas Ball in Belfast for the Paddy Wallace Fund for Autism in December. The star-studded event featured guests including Rory McIlroy, Michael O'Neill, Tommy Bowe, Stephen Ferris, Iain Henderson, Darren Cave, Stuart Olding, Les Kiss, Mickey Harte and Ian Paisley jnr. The couple launched the autism fund last year after their eight-year-old son Paddy Jack was diagnosed with the condition. It aims to raise awareness of autism and support of families and children awaiting diagnosis or who have been diagnosed on the autism spectrum. Christina, who manages the fund, said in the Facebook post that she will now be stepping away from most of her lobbying and campaigning work. The post was then removed a short time later. Read more: Revealed: How much did loved up Rory McIlroy spend on engagement ring for Erica? The beautician and make-up artist also changed her relationship status to 'separated' on her Facebook page. The couple have known each other for many years, having grown up in the same area of Belfast. However, they didn't start dating until 2003 and were engaged the following year. They also have a six-year-old daughter, Leila. Christina took part in BBC's Evening Extra on Wednesday, discussing her son's autism with presenter Seamus McKee. She said: "Sometimes I tend to forget Paddy Jack has autism, because I am so used to his behaviour, but a couple of weeks ago I was with his headmaster at his school about his progress. "He pointed out that life for him is very difficult, not just because he has severe dyslexia. "He said it's a very difficult world for him to be inhabiting." Speaking about the Health and Social Care Board's review for local autism services, she added: "Early intervention is absolutely key and vital in terms of a child's progress and I don't think there are enough services available and I can't really see how they are going to make any significant difference to those services, because it is so dire at the moment." Christina has worked on Game Of Thrones with Pamela Smyth, who is head make-up artist for the HBO hit series. After retiring from professional rugby in 2013, Paddy said: "I have been happy to call Ulster my home for all my life and to play at the one province for a whole career is something that is really special. "Professional rugby is all I have known for the past 14 years. "I am going to miss playing at Ravenhill, the fans and everything involved with being a rugby player. "However, I have lots of fond memories. "I have had a great career and I wouldn't change anything for the world." Paddy also runs a rugby academy that coaches five to 12-year-olds across Northern Ireland. Both Christina and Paddy Wallace declined to comment. Holly Carpenter: Why do people think it's okay to comment on a woman's appearance - famous or not?